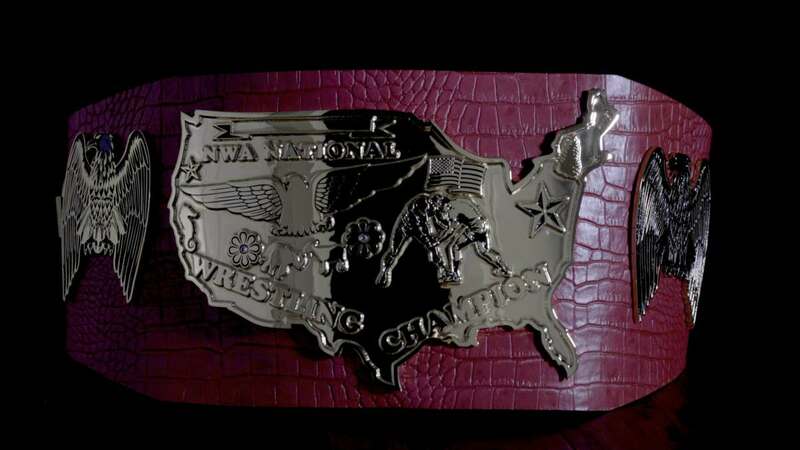 In advance of the title tournament taking place this Sunday, the NWA has unveiled their new National Championship belt. There will be two fatal four-way elimination matches in the tournament, with the winners advancing to a singles match later in the night to decide the new National Champion. Willie Mack vs. Jay Bradley vs. Mike Parrow vs. Ricky Starks and Sammy Guevara vs. Colt Cabana vs. Scorpio Sky vs. Sam Shaw are the four-way matches.